Becoming a qualified automotive service technician can put you on the path to a rewarding and exciting career. And there are many different opportunities for those trained in assessing and repairing vehicles to consider, once they have the right qualifications under their belt. Today’s cars, motorbikes and commercial vehicles are complex machines which require a blend of technical expertise and intuition to maintain to a professional standard, but there are also qualifications which are legally required for those in particular roles. The following are just some of the options that are available to anyone interested in getting into this field or taking their existing career as an automotive service technician to the next level. Every car over three years old must pass an MOT in order for it to be used legally on British roads. As a result, there is always a demand for qualified technicians who are capable of carrying out this form of testing. 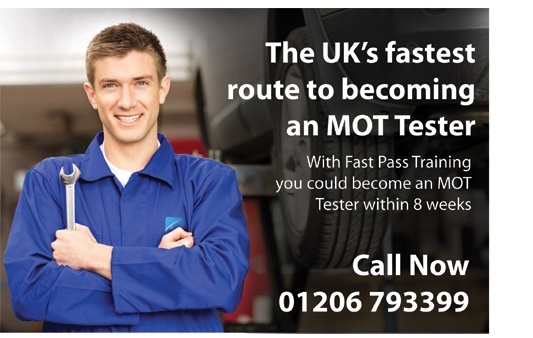 Anyone who lacks relevant qualifications will need to pass the NTTA (nominated tester training) exam to become recognised as a VOSA MOT tester, although eligibility to carry out tests without taking it is given to those who have four years of experience as a mechanic and the nomination of an existing examiner to support their application. Becoming a VOSA MOT tester of vehicles in classes 3 to 7 requires additional qualifications and a passing grade in the NTTA. But once you are through the door, this route offers plenty of opportunity for career progression, in addition to a set of skills which can be transferred to garages and testing stations across the UK. The more experience you have as an automotive service technician, the more options you have for building upon your skill set and progressing your career. On-going improvements to the relevant technologies mean that increasing numbers of electric and hybrid vehicles are entering the market. Any mechanics who take the time to develop a wider knowledge of how to safely and successfully handle these models are sure to be in demand. Additional qualifications are now required for handling the refrigerant which is used in automotive air conditioning systems. Those mechanics who acquire an F-Gas Handler Licence will be in an even better position to seek employment and command better pay as a result. The pursuit of eco-friendliness and sustainability amongst modern drivers also means that many people look to have LPG conversions carried out on their existing vehicles. This allows them to run on a significantly cheaper, less environmentally damaging fuel. Mechanics who take and pass the Approved Autogas Installer Scheme should therefore enjoy enhanced career prospects. Clearly there are a number of ways in which an automotive service technician can develop and grow within the industry, although in most cases it is necessary to attain the correct qualifications and experience in order to open new doors. Career-minded mechanics will therefore recognise the importance of on-going training in ensuring their future marketability and earnings potential.